Shimla: The Himachal Pradesh Assembly today unanimously passed the landmark Good and Services Tax (GST) Constitutional Amendment Bill. The Parliament has passed the bill earlier this month. 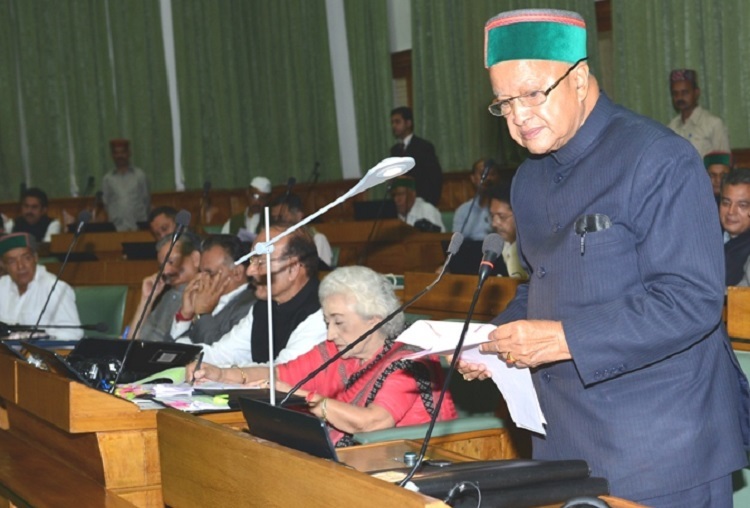 Chief Minister Virbhadra Singh, who also holds the finance portfolio, introduced the bill on the first day of the assembly’s week-long monsoon session. The landmark bill was passed by the assembly in less than five minutes without discussion and with thumping of benches, both by the treasury and the opposition BJP. It was put to vote by Speaker Brij Bihari Lal Butail within minutes after being introduced in the House by the chief minister. The opposition BJP, which had earlier staged a walk out from the assembly over the purported remarks of the Chief Minister against them, returned to ensure that the bill was ratified unanimously. Chief Minister, while tabling the bill stated that Himachal Pradesh will be benefited by the bill as it’ll boost trade once it implemented in the country. Singh also not forget to take a jibe at the opposition and claimed that Congress led UPA Govt had introduced the GST Bill, but the BJP-then in opposition opposed the bill and unnecessary delayed its implementation. Himachal Pradesh became the fourth state after Assam, Jharkhand and Bihar to ratify the bill. Other states are also expecting to adopt the bill soon.